Hello there! We’re Ben and Don, the founders of SPARK and we believe in keeping things simple. We think that a balanced lifestyle doesn't need to be all about complicated routines and cutting out the fun. That’s why we created SPARK. A low calorie drink that mixes sparkling water and natural flavours with a crisp twist of alcohol. All in just 65 calories, 3g carbs, 4% ABV, with no sugar or sweeteners. 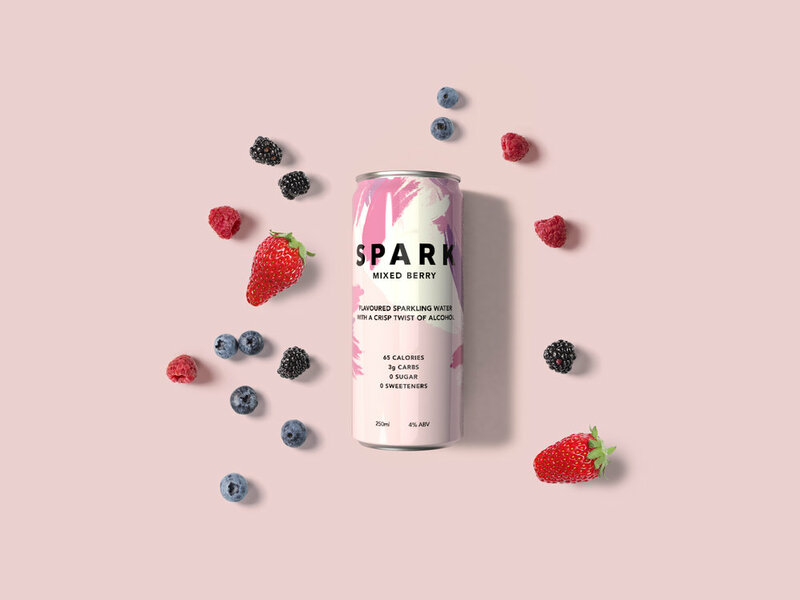 So whether you’re looking for a new signature drink, or just up for a good time, we’re here to help you do it in fewer calories, without sacrificing great taste. A zingy blend of natural lemon, lime and mint flavours, sparkling water and a crisp twist of alcohol. A juicy punch of mixed berry flavours, sparkling water and a crisp twist of alcohol. Have a question about SPARK or interested in becoming a stockist? Thank you for your message, we aim to respond to all enquiries within 24 hours. Join the SPARK mailing list for the latest news and special offers!